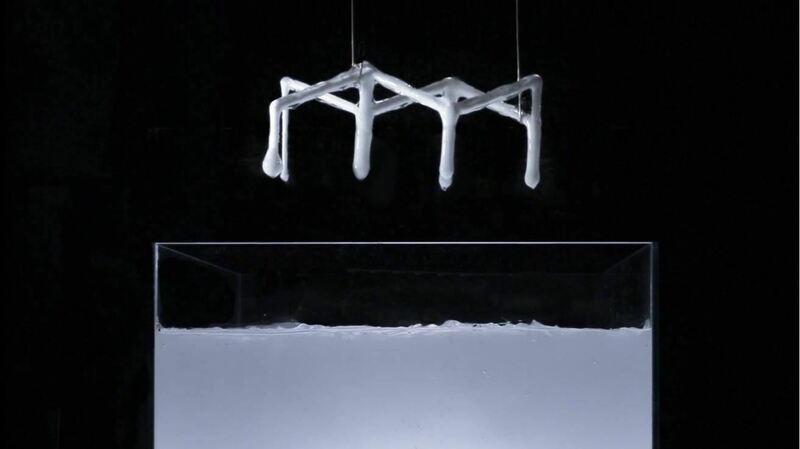 Rapid Liquid Printing: Steelcase-MIT Created Customized Furniture in Minutes! 3D printing is still considered as a limited manufacturing tool as it is time-consuming, has limited materials and the technique is not yet adaptable to large-scale manufacturing. 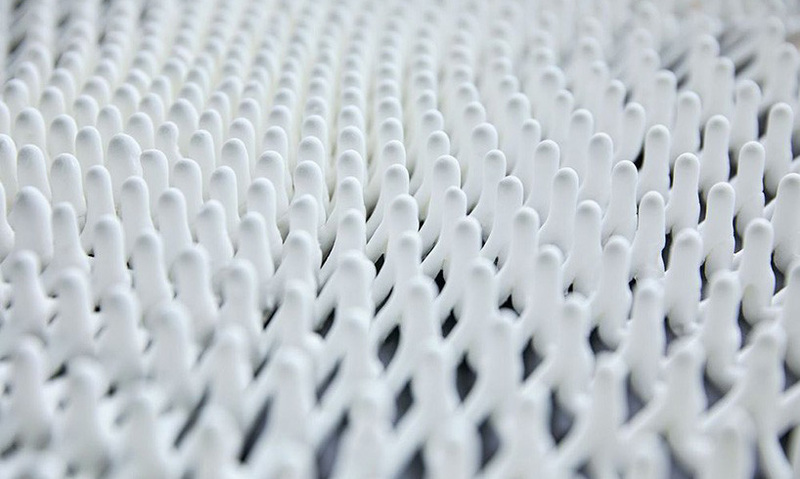 The MIT Self-Assembly Lab, Steelcase, and well-known product designer, Christophe Guberan challenge those 3D printing issues using the new process of Rapid Liquid Printing. 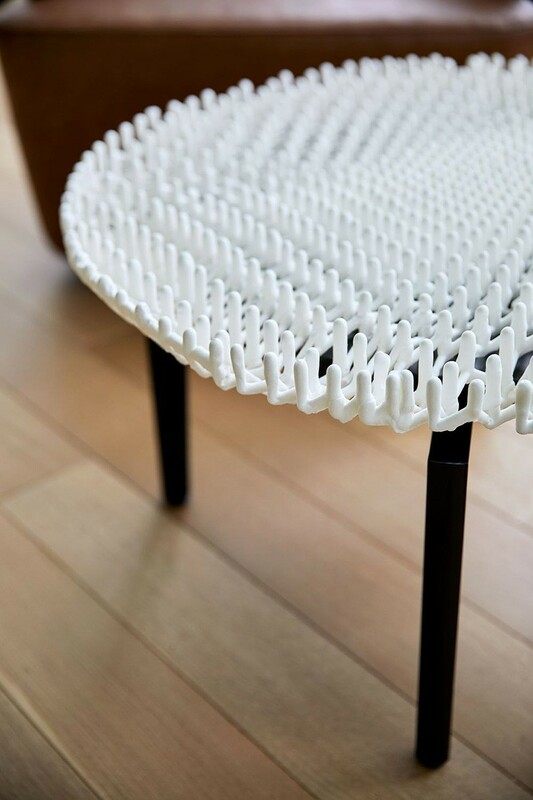 This new technology allows to produce customized furniture and to 3D print at a large scale in a matter of minutes! This collaboration began with Turnstone, a Steelcase brand which focuses on furniture customization. Its winning-prize Bassline table collection had a unique and authentic design, which perfectly matched the needs of this 3D printing experiment with MIT’s Self-Assembly Lab. What is interesting about this RLP process? RLP reduces the printing time, quality and allows to produce at a big scale depending on the size of the machine. During the Milano Design Week 2017, the MIT’s Self-Assembly Team and Christophe Guberan unveiled this breakthrough 3D Printing process, the RLP. The founder of MIT Self-Assembly Labs, Skylar Tibbits said it needed about 28 minutes to print the Bassline table top design. The team made another fascinating experiment by printing a structure using a common 3D printing process, which took them approximately 50 hours to get the final object. By adopting the RLP technology, the same structure was successfully printed in only 10 minutes. The process of Rapid Liquid Printing. 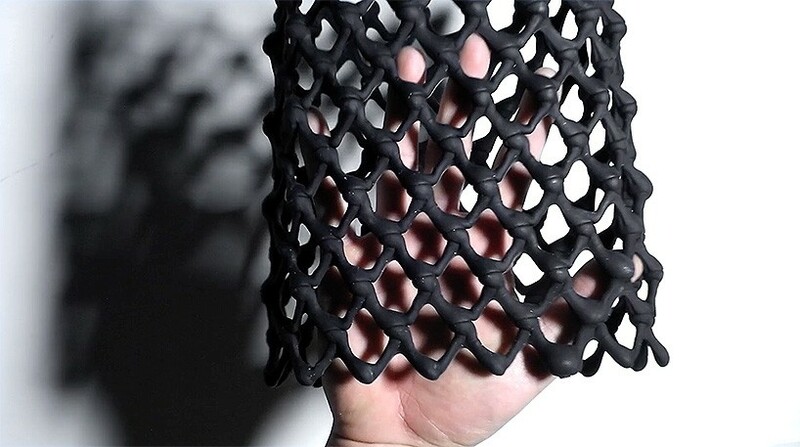 Different from the regular 3D printing process, which constructs the object layers by layers, Rapid Liquid Printing creates structures without the need to build up layers. RLP works by printing an object with liquid inside a gel. Without gravity, it enables to draw the design without any need of support to hold the object during the printing process. When the material gets in contact with the gel, the chemical reaction of these mixing parts solidifies and cures the object automatically. This is why there is no use to add a curing process using light or heat. Once the printing process is complete, the object can be extracted directly from the gel. Plastic, rubber, foam are the materials that can be used for Rapid Liquid Printing, as well as other industrial liquid materials. Steelcase and MIT will keep working on improving the scale and printing process. Experimentation in different kind of materials for RLP will continue to be one of the priorities in order to broaden the possibilities that RLP can offer. You can also read the article “Is Glass 3D Printing the next big 3D Printing trends? MIT Media Lab & more!” if you want to know about the other innovation during the event Milano Design Week.